The Capps Bobcat and operator are available to hire for excavation work. Our skid-steer Bobcat is ideal for digging, back-filling or loading & unloading. 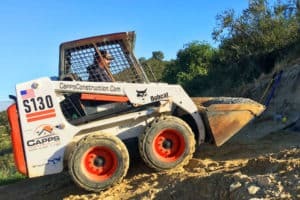 Give us a call at 805-540-1185 to schedule your excavation job.